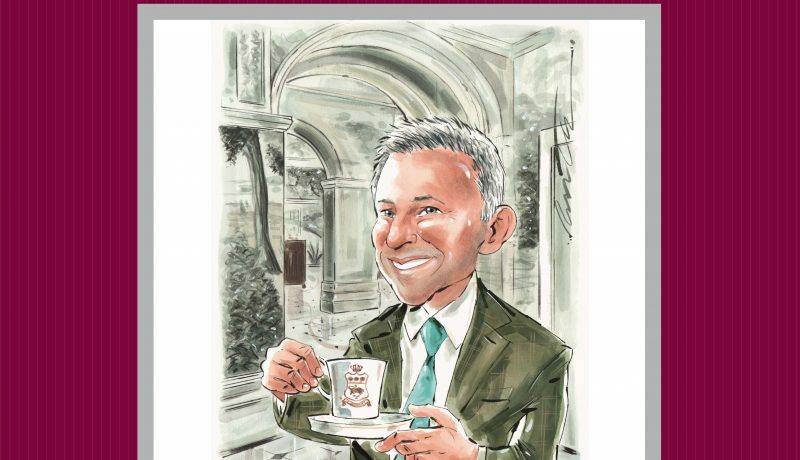 So thrilled to be featured in this months Kensington and Chelsea Magazine! 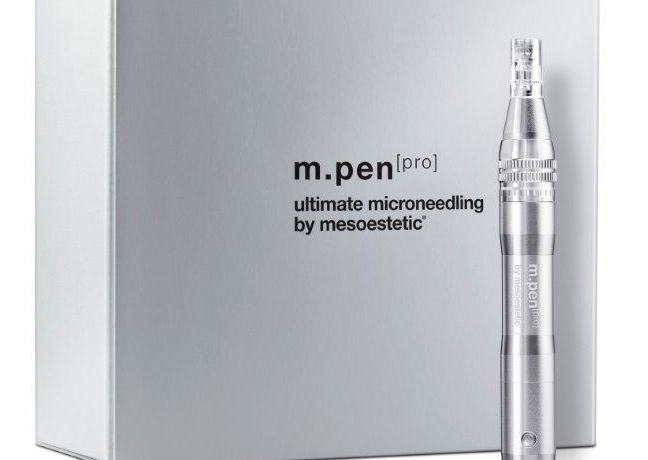 Treatment of the Month… come and try for yourself! S A L O N of the M O N T H! 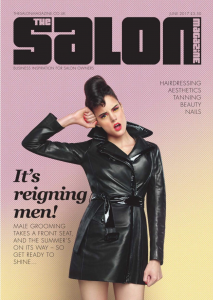 Thrilled to read about our salon in this months The Salon Magazine. If you want to read about our inspirations and how to get the look check our Page 62. 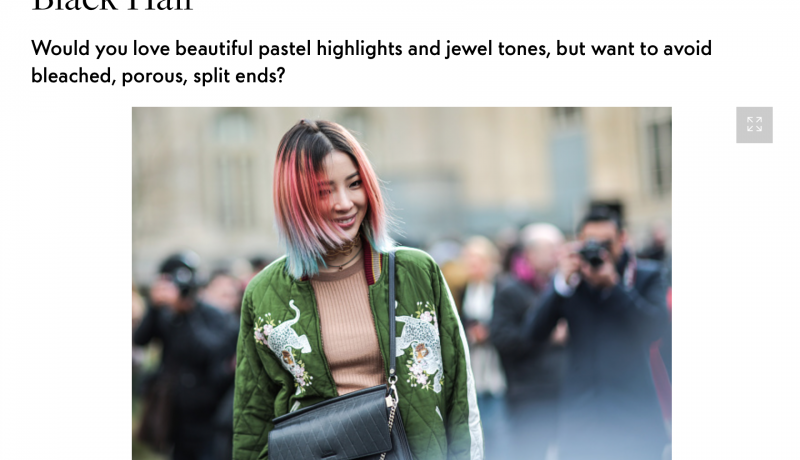 “Would you love beautiful pastel highlights and jewel tones, but want to avoid bleached, porous, split ends? 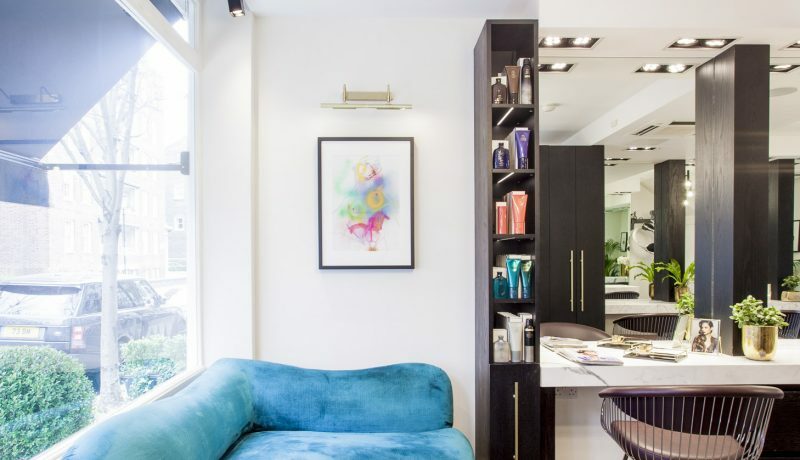 With a huge range of at-home hair dye and DIY colour treatments available, changing the colour of our hair is as ingrained in our beauty routine as painting our nails. Colouring really dark hair, however, is not always as easy as it is for our fair-haired sisters. There are enough bleaching horror stories out there to put anyone off trying. But fear not, because beautiful, pastel-toned highlights are not a million miles out of reach. 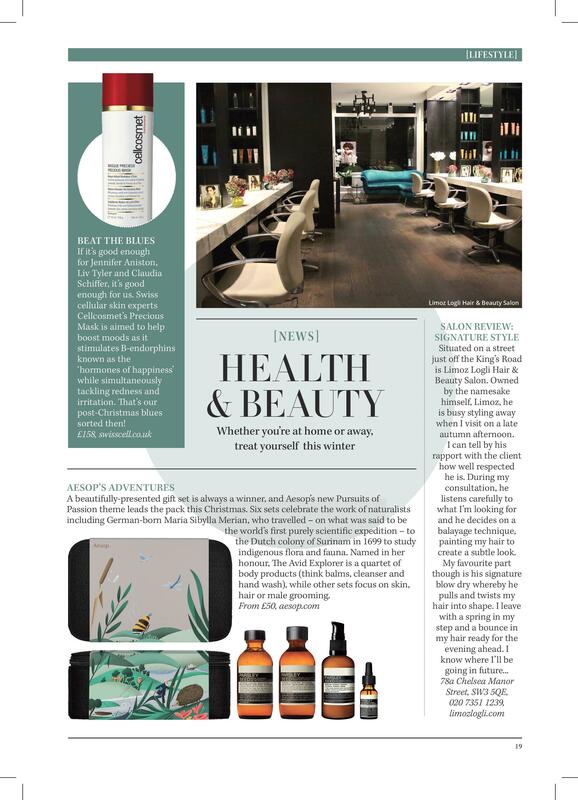 To find out more read Zoe Dubbs article for Elle UK where Limoz Logli gives advice on bleaching dark Hair. The beauty trend that dominated the catwalks for SS17 was the burgeoning fringe. As seen on shows Belstaff, Moschino, Saint Laurent and Gucci, it’s official – bangs are back. It’s incredible how transformative cutting a fringe can be. This simple beauty hack will change your face shape with one step and update your look instantly. Whether its short and thick, lash skimming, blunt, super-straight or side-swept, there’s a style to suit all face shapes, ages, and hair types. Fringes don’t have to be high maintenance either; a quick blast with the hairdryer from root to tip with a full bristle brush will keep it looking tame all day. A dry shampoo between washing will also keep the hair looking fresh. Limoz Logli says “I always work closely with my clients to ensure they are getting a fringe that’s right for their face shape and hair type. It can often make people look much younger so this is a great way to refresh your look and make it more edgy. We work with the angles of the face, the eye shape and jaw-line to create a look to maximise your features”. 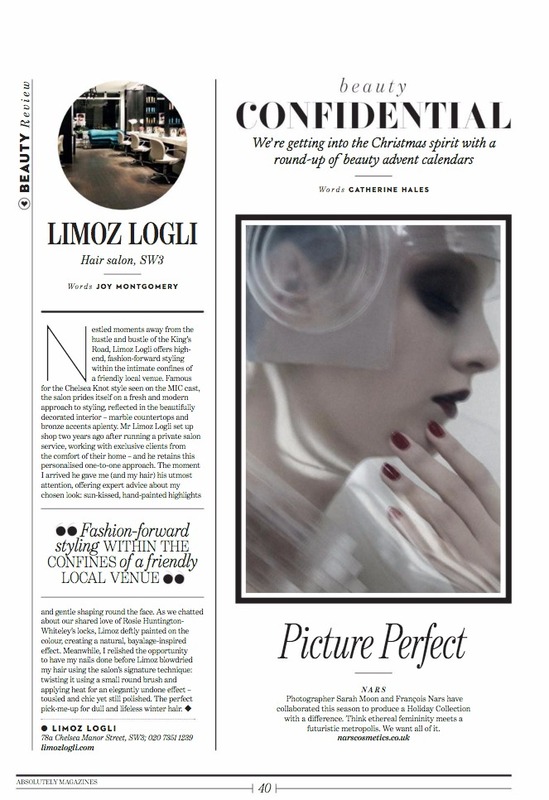 We were lucky enough to be featured in the fabulous Absolutely Chelsea and Fulham Magazines. To see the full article click here. Semi -precious crystals and stones have been incorporated into skincare recently due to their healing properties, and now you can see this trend move into hair colour. The Tigers Eye is a gorgeous stone known for its healing powers, so choosing its shimmery gold and bronze tones for hair can means you can get through winter and the new year by reflecting its positive vibes. As seen on bloggers and celebrities such as Alexa Chung, Lily Aldridge and Jessica Alba, this look is composed of bronze, gold and dark brown stripes. 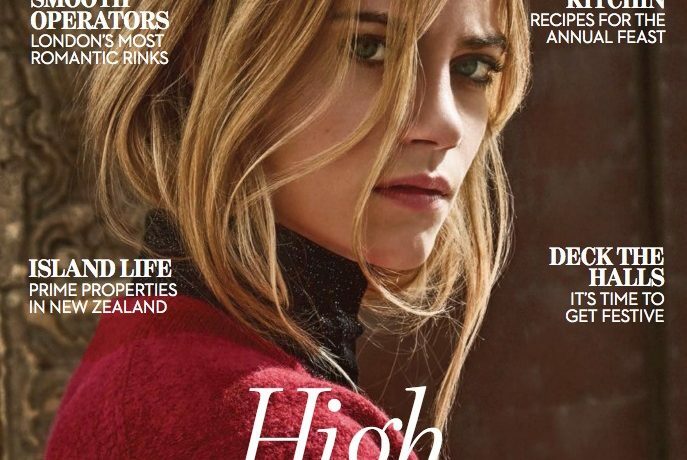 It can be created using a similar method to balayage where the hair is painted by hand to create subtle highlights to add warmth and dimensions. The Tiger’s Eye look takes a new twist on regular balayage where it borrows the semi-precious stone by adopting the colour of your natural hair colour making it look as subtle as it possibly can instead of the stripes you expect. At the Limoz Logli we have been creating these looks for our fashion forward clients who want more of a statement to their brown hair. 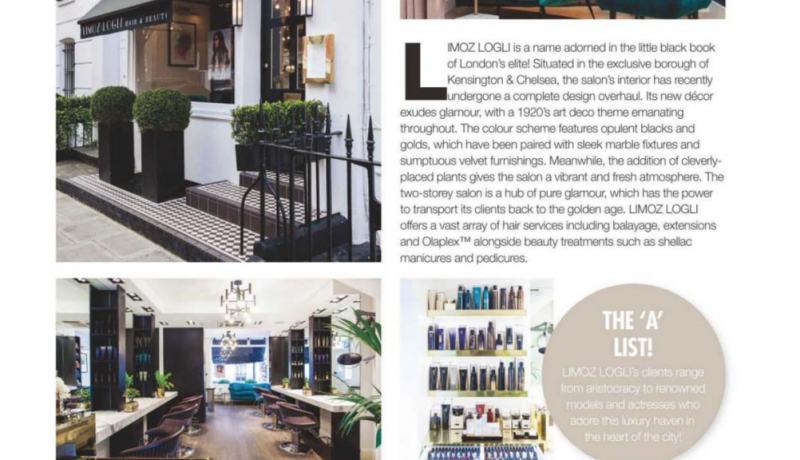 Check out a wonderful article in the Belgravia Journal about Limoz and our in salon experience.